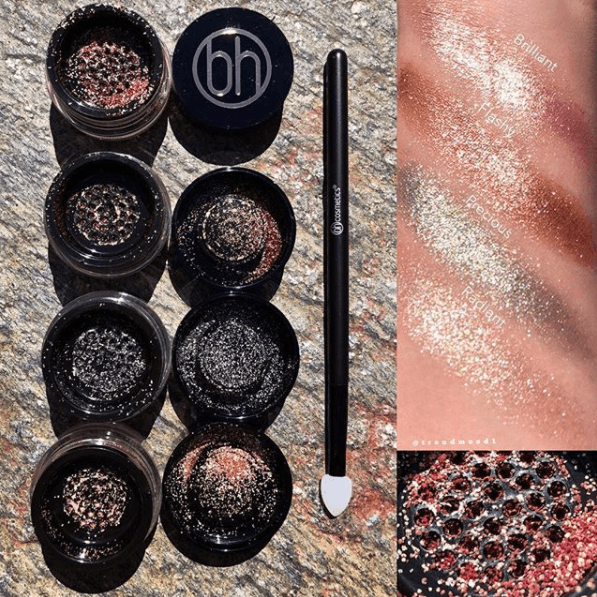 BH Cosmetics has also been on a roll lately! This time they are releasing their new Hi-Shine Diamond Dazzlers on Friday, 3.23! These are new Loose Foil Pigments come in four shades for $7 each, Brilliant, Flashy, Precious, & Radiant! These look soooooo bold & blingy!! Who isn’t ready to add some sparkle to their looks for spring and summer?? It’s a bit hard to tell from the photo (which was literally the only one we could find, so weird), but these look to be such that they will require some kind of sticky base to apply to the eyes like a glitter glue or super tacky primer. These are gorgeous but we always worry about fall out with these types of products! Even the Stila Magnificent Metal Shadows have a decent amount of glittery particles that land on the cheeks and under-eyes. But if you do your eye makeup first (which I never do but kind of have to when using glitter products) you should be fine! We also love how affordable these are! If you are hesitant to splurge on Stila, try these out first! !